Leak detection, pipe tracing, data logging and flow metering equipment for Sale or Hire. 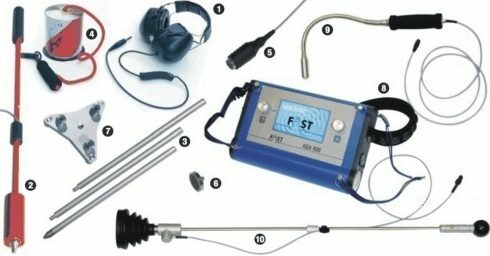 All our leak detection equipment comes with free training and support. Priceless!!! A Happy customer will be a returning customer. We are not associated with any one brand and we only sell the equipment we use ourselves. Other companies sell one brand but use another brand to do their leak detection works. F.A.S.T, ECHOLOGICS, SEBA, PRIMAYER, PALMER, GUTTERMAN, All leading brands stocked.